0.58 MB, 1920x1080px, 3.8 secs. 5.45 MB, 1920x1080px, 3.7 secs. 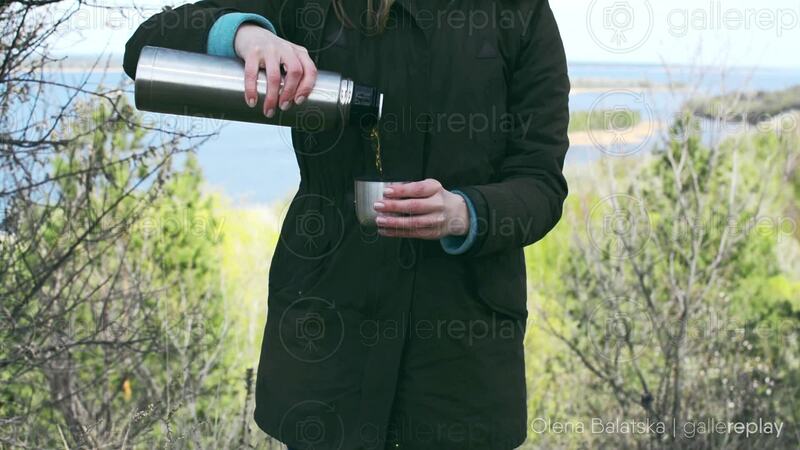 A woman standing outdoors amongst trees and shrubs pours herself a glass of tea from a thermos flask.